This year is the diecast year of bikes here in xDiecast! 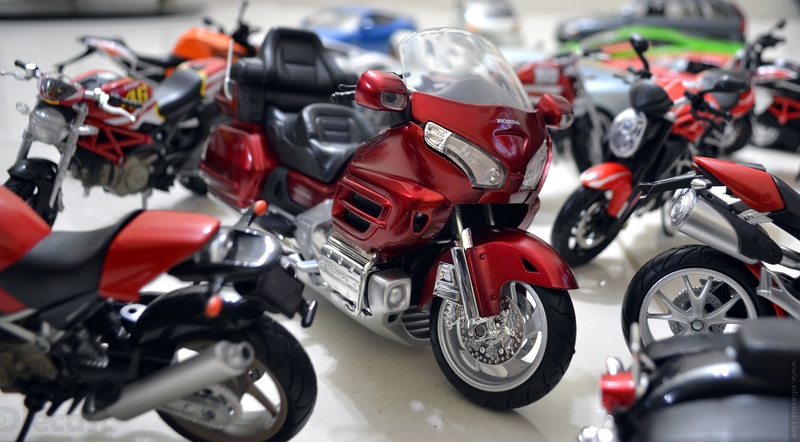 11 motorbike models from Maisto and NewRay (mostly red) joined xDiecast garage this year. 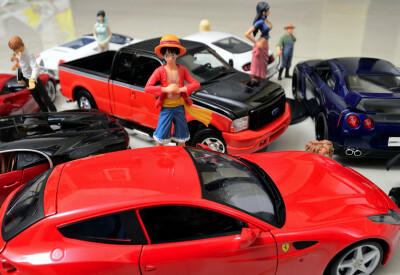 In 1:12 scale alone I added around 11 model from Maisto and NewRay brand, all these are sourced within country thanks to the diecast awareness and new importers joining in to import more brands. 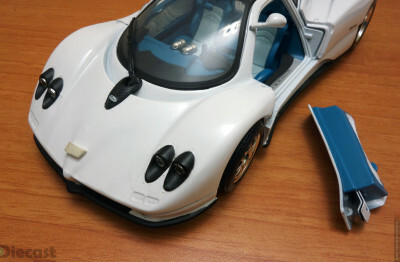 The news here is that Modelart is now officially importing Maisto branded diecast models into India and these guys are doing some exceptional job by getting us some decent models real quick! This year as far as bikes concern can be called as Red Ducati’s year also. 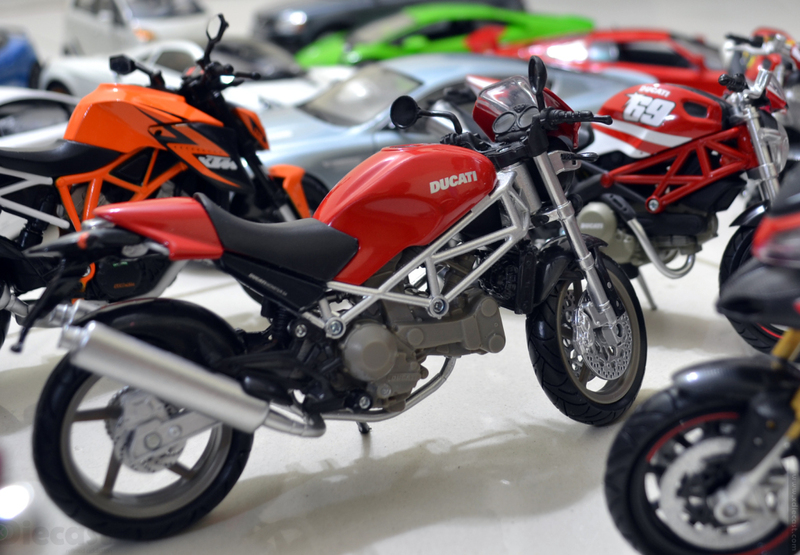 Yes I added six Ducati this year alone and all of them are from a same manufacturer NewRay. 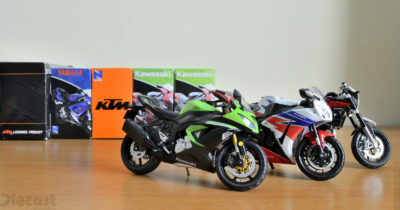 Most of these Ducs are purchased from FlipKart and that too on some brilliant offers. 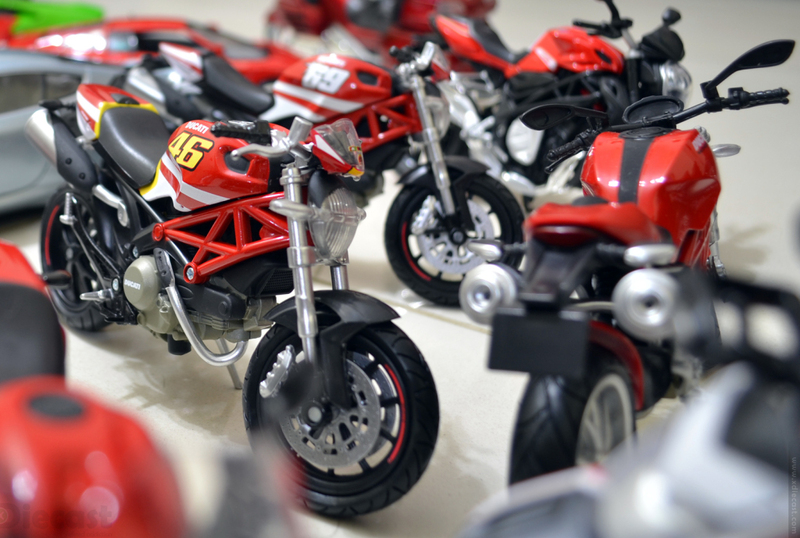 Of all the Ducs that came in this the above Ducati Monster 796 sporting Valentino Rossi paint scheme takes the top place. As this bike is a one of kind bike I wanted to give him some company by add the Hayden edition Monster 796 to the collection. 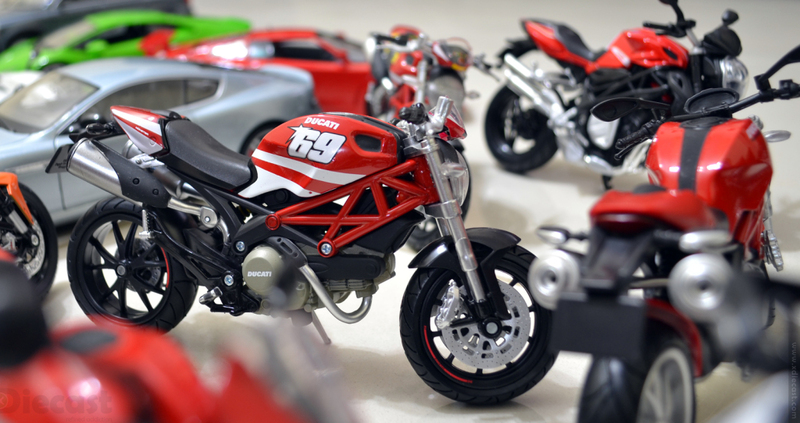 Another Monster that made it to xDiecast collection is the Monster S4, again in red by NewRay to grace the Ducati Collection. 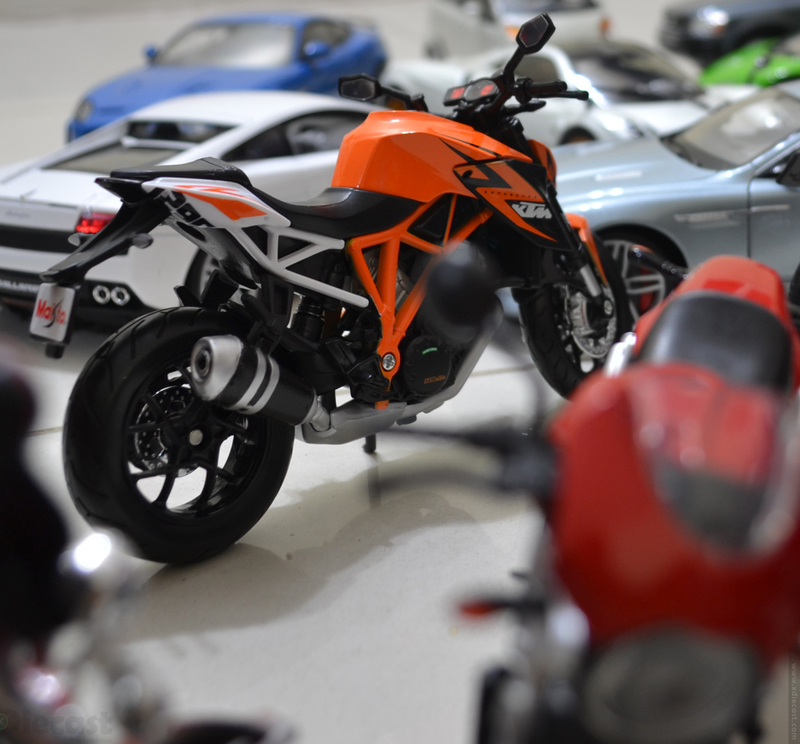 Maisto gave me an opportunity to explore new segment in 1:12 scale by launching the Harley-Davidson brand… But that is not what excited me this year, it is the KTM Super Duke 1290R that to in the trademark orange. 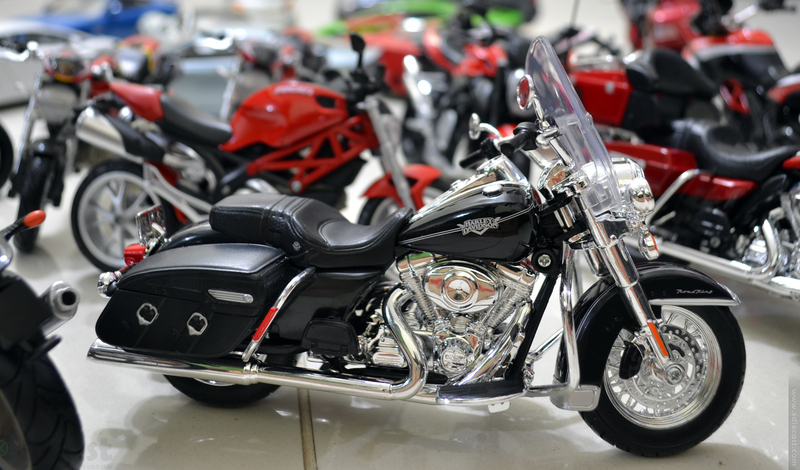 The news of this news came early this year but the bikes itself reached towards the end and the delay is well worth it in most details. 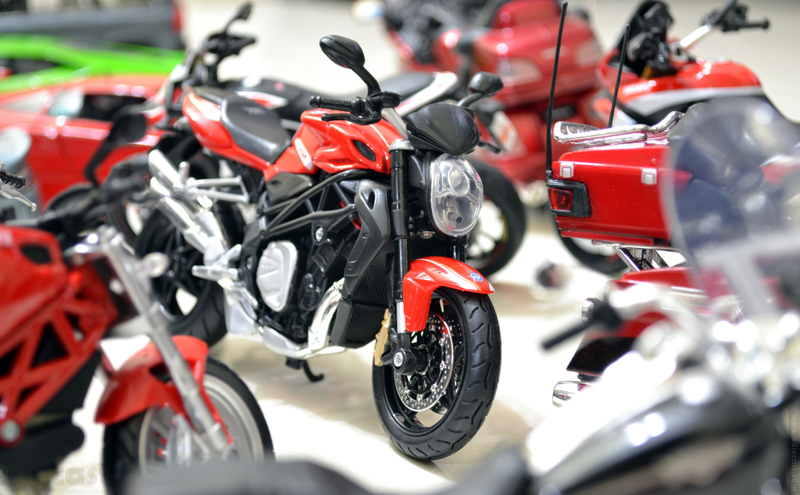 Also an array of MV Agustas were released this year and most of them are of superb quality and I managed to pick this MV Agusta Brutale 1090R this year and next year is going to see some more. 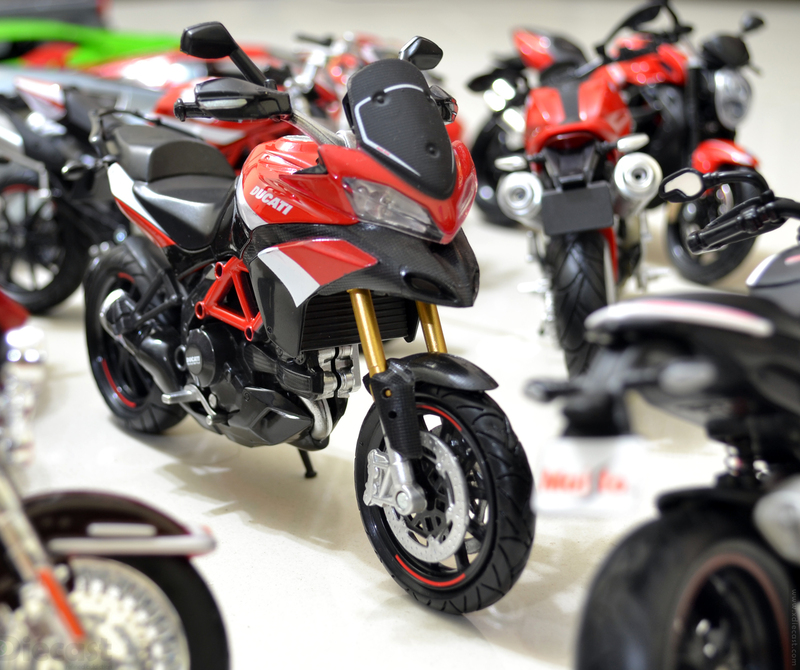 Apart from the Monsters that walked in I got myself an other Multistrada 1200S from NewRay sporting Pikes Peak kits, making the Multistrada count to two. 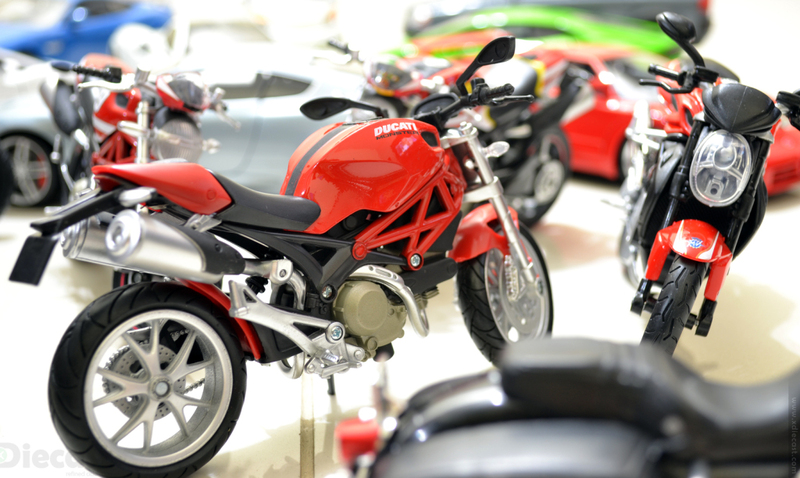 The Ducati Hypermorotd has been in my favorite bike since the movie “Kinght and Day”. 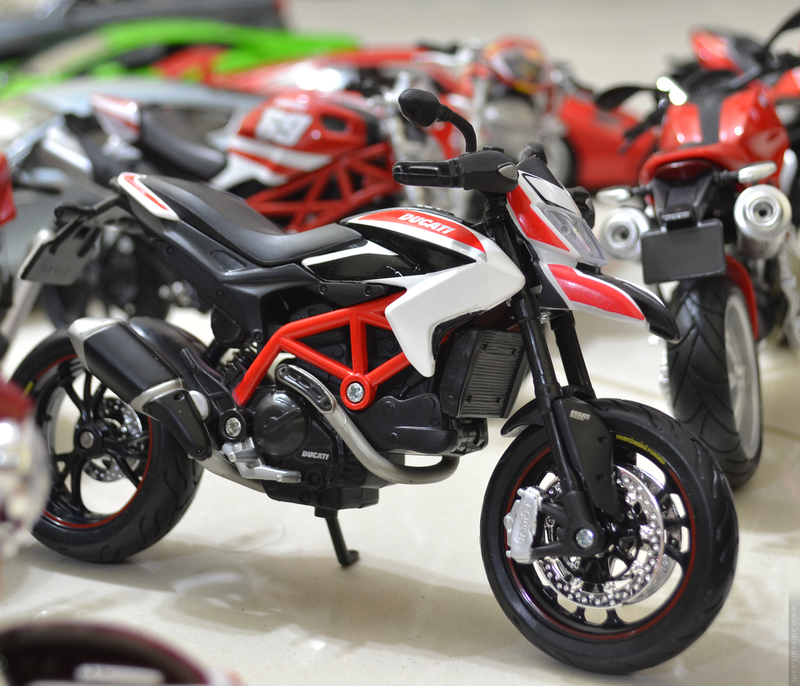 And finally this year Maisto satified my dream by launching this Ducati Hypermorotd SP. 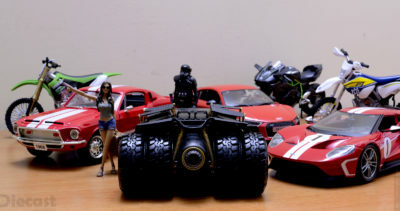 Cruisers are not my thing as they dont work in tight situations and the same is true if you have limited space in your display case. 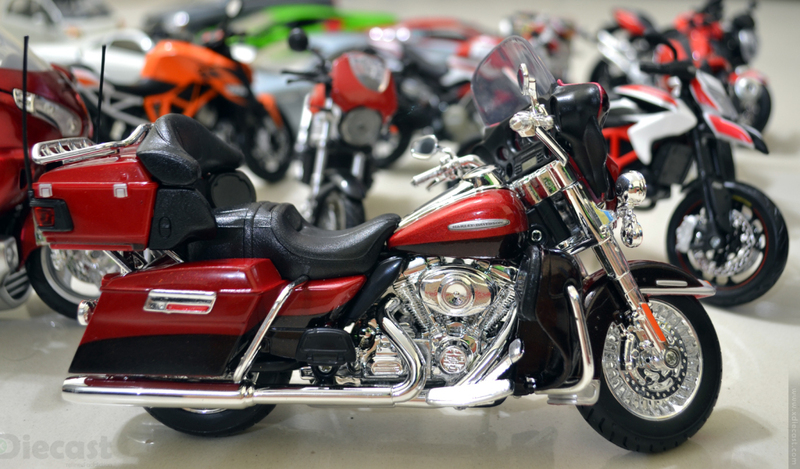 But this year all that changed and I fell in love with Harley Davidson and brought two of them to grace my collection. 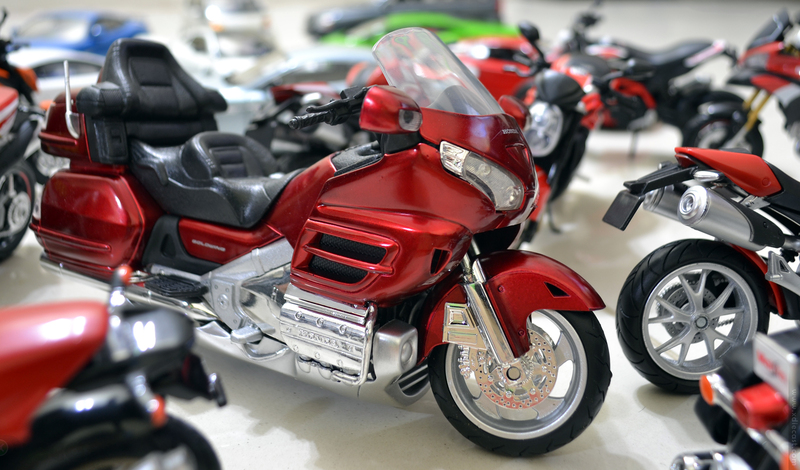 What came along a little later is the Honda Goldwing from NewRay that look like a overscaled 1:10 in the case. Is that a goo thing? Yes it is! Bye readers and Have an awesome year ahead… Happy New Year. Thanks for sharing all the great picture sets this year. Hope for many more great features next year.